President Barack Obama's plan to cut the defense budget by half a trillion dollars over the coming decade include trimming the Army by at least 38,000 soldiers and grounding of a number of drones, defense officials told CNN Wednesday. The officials - all of whom spoke on condition of anonymity - laid out details of the cuts, which are to be released Thursday by Defense Secretary Leon Panetta and the chairman of the Joint Chiefs of Staff Martin Dempsey. As part of those cuts, the officials said, the Air Force will ground 30 Global Hawk drones - used for surveillance and reconnaissance - and will not buy new ones. The drones are to be replaced by U-2s, the high-altitude, piloted recon aircraft that have similar capabilities and are paid for. It was not clear how many aircraft will be cut, the officials said. 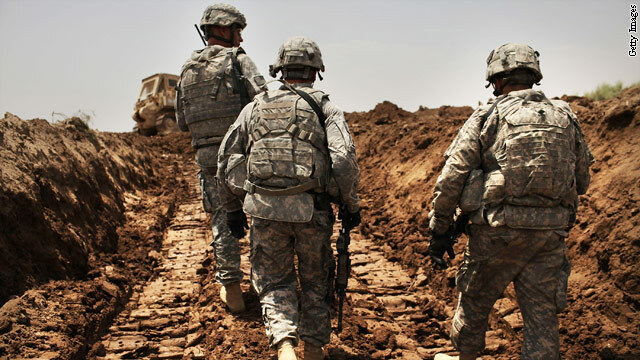 But that could be an anomaly in this area as the budget is expected to call for maintaining or increasing the investment in drones, intelligence, surveillance and reconnaissance (ISR), Special Operations forces and cyber capabilities. Somalia is not a safe place to operate. A 9,700-strong African Union force tries to secure the area in and around the capital with its large incidences of car bombs and IED attacks. The American that U.S. special forces rescued from Somali kidnappers was one of an extremely small group of Americans inside Somalia. The U.S. State Department and international aid organizations say it is difficult to pin down just how many Americans are in Somalia. The department's Bureau of Consular Affairs told CNN that it cannot provide figures because it does not require Americans to register with local embassies. Several aid organizations say the number of aid workers is low because of major security concerns in the country. One organization with which CNN spoke would not provide any information out of concern for the security for its staff on the ground. If there was any question that the Obama administration sees the shadowy world of special operations as an instrumental element in their vision for the military's future, the drama around the State of the Union and the speech itself removed any such doubt. That point will be driven home further on Thursday when Secretary of Defense Leon Panetta reveals the first details of its budget decisions to deal with half a trillion dollar in cuts over the next 10 years. It was the heroics of the Navy SEAL team's killing of Osama bin Laden that Obama used to open and close his State of the Union speech. But a few hours later, the world would learn that even as Obama headed to the floor of Congress to speak, a Special Operations team was just finishing up a raid to rescue two hostages, including an American, in Somalia. These elite troops operate in daring and dangerous ways, and the administration sees them as an integral part of the military's future with a continued focus on counterterrorism. Special operations and related new technologies that allow for less 'boots on the ground' - such as drones; intelligence, surveillance and reconnaissance capabilities (referred to as ISR); and cyberwarfare and defense capabilities - will be spared and in some cases see budget increases as the administration prepares to cut back on ground troops and related capabilities. A key part of President Barack Obama's State of the Union speech was a promise to support clean energy, with the clear implication that it would save money. "I'm proud to announce that the Department of Defense, the world's largest consumer of energy, will make one of the largest commitments to clean energy in history, with the Navy purchasing enough capacity to power a quarter of a million homes a year," Obama said Tuesday night. "Of course, the easiest way to save money is to waste less energy." But the Navy's alternative energy program isn't necessarily about saving money, although it should do that, too. Over the past several years, the pirates of Somalia have enjoyed what might be called a following wind. They operate in a country where government authority is weak and in many areas non-existent. They have the longest coastline of any African country to exploit (3,300 kms), and some of the world’s busiest sea-lanes within easy reach. They have a ready pool of recruits, desperate for a share of the millions that they garner from ransoming merchant ships and their crews. And they have had the time and space to get better at piracy, obtaining faster boats and establishing onshore bases – mostly in northern Somalia. Tim Hart of Maritime and Underwater Security Consultants, which is based in the U.K., concurs. 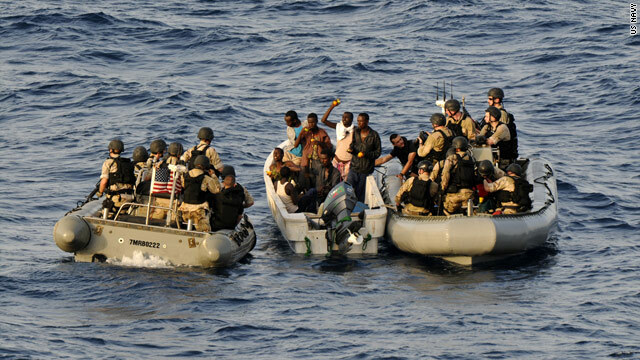 “This U.S. Special Forces operation will send a clear message to pirate gangs that states are prepared to take a more robust approach to their actions,” he told CNN. "We're confident that there was enough of a sense of urgency and there was enough actionable intelligence to take the action that we did for the President to make the decision that he did,” said Pentagon spokesman Capt. John Kirby. "Well there are a variety of factors that you consider when you are planning an operation that you hope will contribute to success. And I'm not going to get into specifics, but those factors can range from weather to other considerations,” Pentagon spokesman George Little said. When Obama said “good job” as he strode to the podium for his State of the Union address, the military “had indications at that point that the two hostages were secured,” Little said. 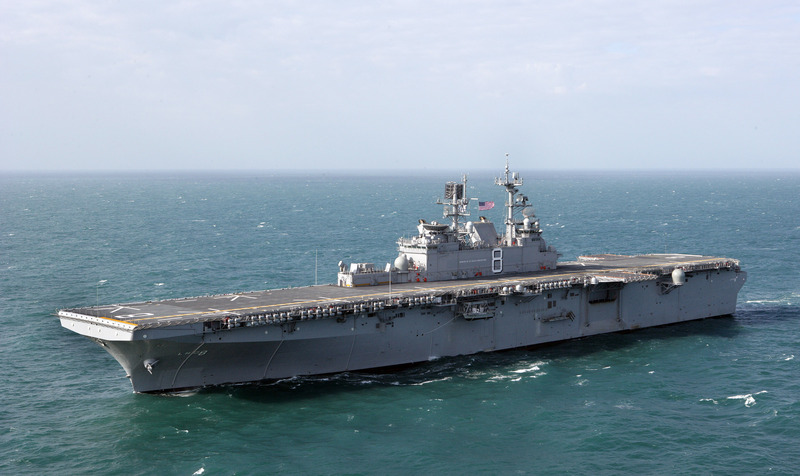 Pentagon spokesman George Little said the rescue team was comprised of special operations troops from different branches of the military, but Little would not specify what services. A US official told CNN that among the rescuers were Navy SEALs from the same unit that killed Osama bin Laden in a raid in Pakistan last year. The official, who is not authorized to speak to the media and asked not to be named, did not say whether any of the same people were involved in both operations. "This was very much a joint mission," said Pentagon Spokesman Capt. John Kirby. By Larry Shaughnessy: An American special forces raid to rescue two hostages in Somalia was not complete when President Barack Obama said "good job" to Defense Secretary Leon Panetta Tuesday night during the State of the Union address, Pentagon spokesman George Little said Wednesday. The American and Danish hostages were safe at that point, but the American assault team was not yet safely out of Somalia, he said. Panetta went over for a routine meeting in the afternoon at the White House and ended up staying until the State of the Union. Panetta monitored the operation from the White House and spoke by phone with General Carter Ham, the Commander of US Africa Command, who was running of the operation. 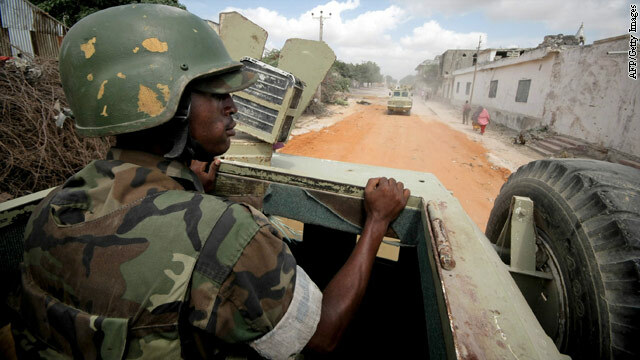 (CNN) - U.S. forces in military helicopters freed two hostages, an American and a Dane, in a nighttime raid in Somalia that left at least seven gunmen dead, local authorities said. Kidnappers seized American Jessica Buchanan and Poul Thisted in October after they visited humanitarian projects in the northern part of the country, according to the Danish Refugee Council they worked for. Both are unharmed and at a safe location, the aid group said. President Barack Obama said he authorized the raid , and thanked the Special Operations Forces for "the extraordinary courage and capabilities, " but did not provide details on the fatalities.